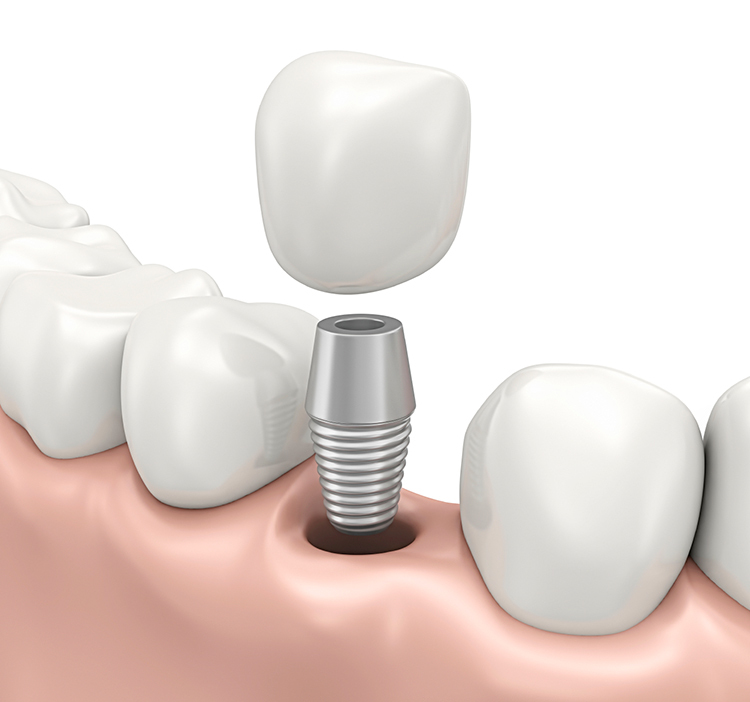 A dental implant is actually a replacement for your tooth’s root. They are typically made from a material such as titanium or a bone-like ceramic material which is surgically anchored into the jawbone. The implant will then fuse with the bone in a process called osseointegration. Once this procedure and healing are complete, and an artificial tooth (a crown) can be placed upon the implant. Not only do implants feel and look like natural teeth, studies have shown that implants have a 95% success rate. The loss of a tooth is not only cosmetic. If you have a missing tooth, your remaining teeth will shift and the bone can start to deteriorate causing additional oral health issues. Dental implants only affect the missing tooth – you do not have to alter the surrounding healthy teeth as you would with a supporting bridge. Individual implants also allow you to floss and treat the implant as you would a natural tooth. Because implants are designed to fuse with your bone, they become permanent. You don’t have the concern of poor fitting dentures that may be uncomfortable or may slip and cause you to mumble or slur your words. Dental implants are extremely durable and many will last a lifetime.